Along with the team from Web Future, a web development agency with offices in New York, Bucharest and soon in London – mid January 2015, we created what we consider to be one fo the most useful reads these days. Based on that and considering that we already know what works and what doesn’t work we thought of sharing our knowledge with the marketplace in ten strategies as a “thank you” for an amazing year highlighting the 20% to focus on, to generate 80% of the results in 2015. The internet is more than ever the marketing environment used by people and companies to “push the humanity forward” how we like to call it. Day in and day out all of us can create amazing content, offer free information, launch products, issue vouchers, test new ideas and ask ourselves: “what’s next?”. No matter if a company is just at the start-up founded using bootstrapping from the kitchen table level or an established corporation the internet became for all of them the playfield where they can find the next lead and customer or to be approached by them as a result of advertising and content published. You, dear customer and explorer of the beauty called the internet, are the reason why we are doing what we are doing so the 10 strategies are dedicated to YOU. Have a great 2015, everybody! At any moment anybody with a wifi or cable connection can find on the internet most of the information about any topic. The rest may be available for a fee being subject to a paid offer. The problem and in the same time the opportunity is that the users searching online have to select the best sources of information for what they are searching. The more they see a professional or a company as an authority sharing certain content, it is more likely that they will trust the information shared. Also, people buy brands so the internet is the ideal environment to position your brand in front of the customers. Even with the evolution of social media, a website remain an essential piece for your online presence. It doesn’t matter if you are a local business, national or an international one. A world class website is a must and with the evolution of technologies it is easier than ever to build an online presence. You need to invest in your website to keep it up to date with the latest web publishing technologies and amazing content. Just that you will have to work more than before outside of the website. These days besides a top notch website you need to have a presence on Facebook, Twitter, LinkedIn, Pinterest, Youtube, Vimeo, Google + and… arethem foreign languages to you? Give us a call and we will translate them for you. The search engines work day and night, 24 hrs a day, 7 days a week, and 365 days a year to index and show the best pieces of content to the users searching for information. More than ever, you need to be visible on the search engines. Also, this is an ongoing process because what works now it is possible not to work in the next 6 months. Use content as the main weapon and optimize everything. Don’t waste time and money cheating the search engines because on medium and long term you will not like the outcome. #takeaway: we believe in the power of search engines so feed them with quality content and they will love you! Think about social media like as the technology to multiply your message. Social media is not good our bad, but your multiplied message can be a good or a bad one. The marketing of today and the future, at least until something else will be invented is a marketing of tribes. You need to create and nurture a tribe of fans for your products and services, a great gathering of humans can be your best supporters and commenters. Also, have in mind that the customers don’t want to be sold but they love to buy. So in social media you have to engage them and not just promote paid products and services. The promotional content has to be 10 – 20% max from the overall content published. Before posting something ask yourself: “Will this ad any value to my tribe”. And by communicating on various platforms (see no. 2) you will manage multiple tribes. Think of building applications for your Facebook fan page, for example. Do you remember the quote: “Content is King?” The quality of content you publish will make users to want more so they will subscribe to your newsletter or updates and also to make the decision to buy from you an easy and natural process. Also, by publishing the right content in the right way the customers will like, know and trust you. Also, the internet users like more video and photo content than just text so use them accordingly. There are almost unlimited possibilities to sell products and services online starting with e-commerce platforms and continuing with payment gates and physical and virtual money. When you sell products similar with other companies differentiate yourself through services, delivery methods, customer support and even payment options. Do you accept bitcoins? By far, the main objective of social media communication is to create a mailing list of potential customers wanting to receive your information. No matter how many likes you have of Facebook for example, it is more important the number of e-mail addresses generated from those likes. With some exceptions from certain industries, most of the conversions will come from e-mail marketing. Once you have leads in your database start building a relationship with them using newsletters. Create reciprocity by adding value and the leads will reward you with sales. Believe or not, more and more people are searching online from the mobile devices. You just need to see what the big telecom companies are doing – they are pushing data services along with the voice ones, offer free smartphones and s.o. It is a trend you simply can’t miss. You absolutely need either a full mobile version of the website or the website to be responsive and have a great presence on the main smartphones and tablets. Also, think about sms campaigns. They have huge open rate and few companies are using them. 9. Why Not Have a Mobile App Or Ten? A great strategy is to create a mobile app for your company of website and to list it in one of the major marketplaces as App Store or Google Play. It can even become a separate income stream. You can create more than one app, build a lot of apps as assets and monetize them. When you want to be very visible on the internet, besides the usual optimization of the website, you need to add a lot of pieces outside of the website like guest blog posts, online press releases, social media accounts and posts, photos, videos, podcasts, webinars so the customers and potential customers to see you in multiple places under various platforms. The more you dominate your niche, the more powerful you will become. PS: in 2015 invest in paid advertising and generate paid traffic to your website. Set aside a budget for Facebook Ads, Google Adwords, Linkedin Ads, Youtube Ads and others and create scalable systems by evaluating the returns of your campaigns. With Facebook advertising for example you can create personalized audiences, which can be the recipients of your newsletter and can create special offers only for them or pay by conversion, only when a sale is made. And PPS: leverage the assets of other companies: blogs, e-mail lists, paid ads, authority and relationships with their customers by setting up affiliate programs for your products and services and using joint venture marketing strategies. And you know what is funny in this article? We just described a day in the Web Future Universe. 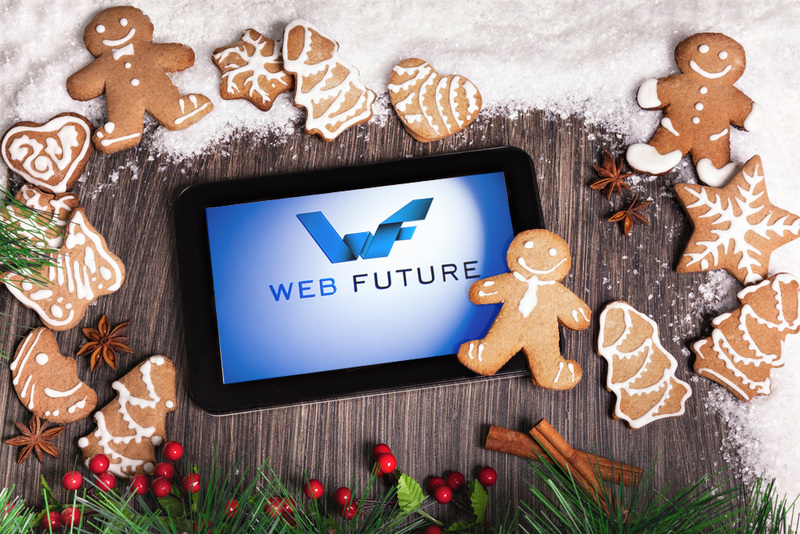 Launched in 2007, Web Future Solutions is a full service interactive agency that provides its clients with high quality customized online solutions and outstanding design. Since our inception we have developed many successful long term partnerships with our clients throughout the US and in Europe. Our project teams will develop a customized strategy with your company or organization to effectively market your services and expertise to your target audience and increase sales, promote your brand, or achieve other personalized objectives. We are a strong team of young, dedicated, and professional specialists, whose main mission is to exceed our client’s expectations. For more info, please visit webfuture.us.